We have worked with NEOS Healthcare and its parent company, Avidity Health Care Solutions for over a decade on everything from web site and application planning, custom web site design, branding, and development. Featured here is a design we created and developed for NEOS Healthcare, their health savings account (HSA) product offering. We later worked on a full site redesign, including design of the membership sections of the HSA portal. That redesign is visible at neoscdh.com, and if you are looking to purchase a health savings account, they’re a great choice. We also created the blog for them, at healthcare-blog.com. 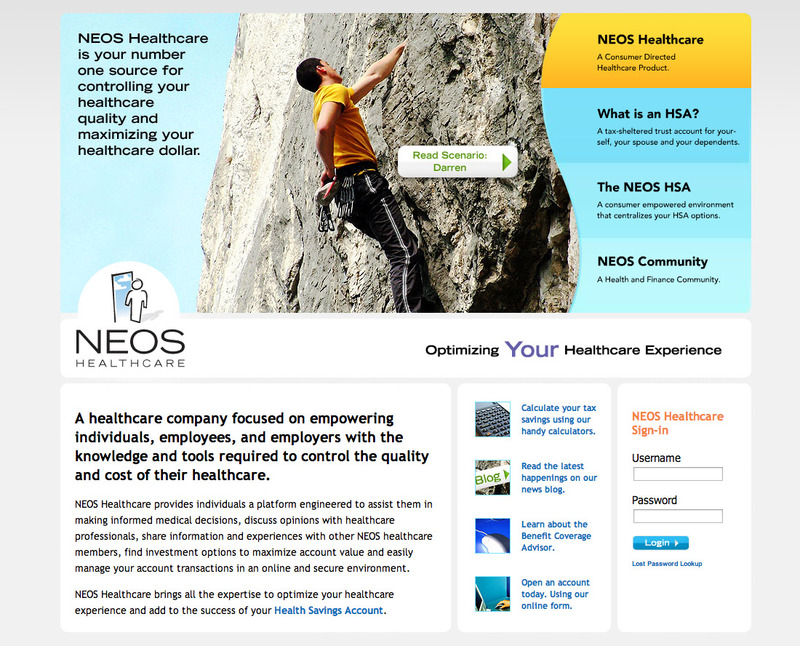 Web site design and development for a web site promoting the NEOS health savings account.